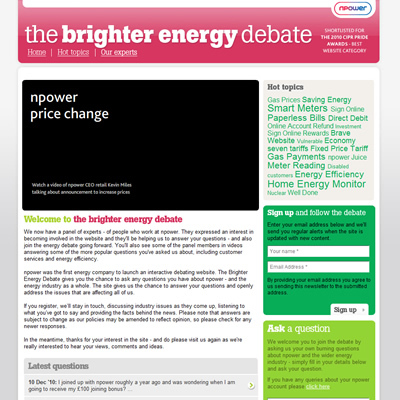 Web of Ideas were contracted to develop this marketing website for nPower Ltd. 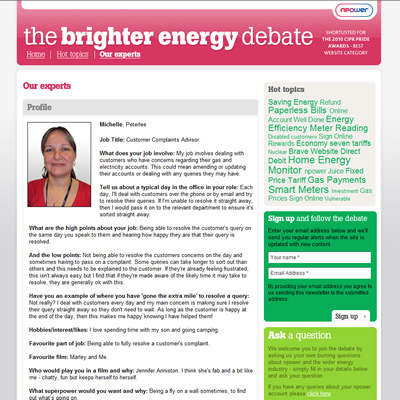 The website allows customers to post questions about their energy bills, or more general questions relating to the energy market. The questions are answered by in-house experts, and posted on the website for all to view. Website users can post comments against these questions and answers. 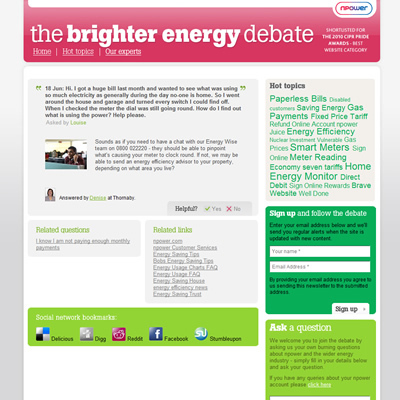 The website also features customisable videos, links and recent news form the energy market. The website is fully content-managed and adheres to the internal security, audit and privacy standards of nPower.